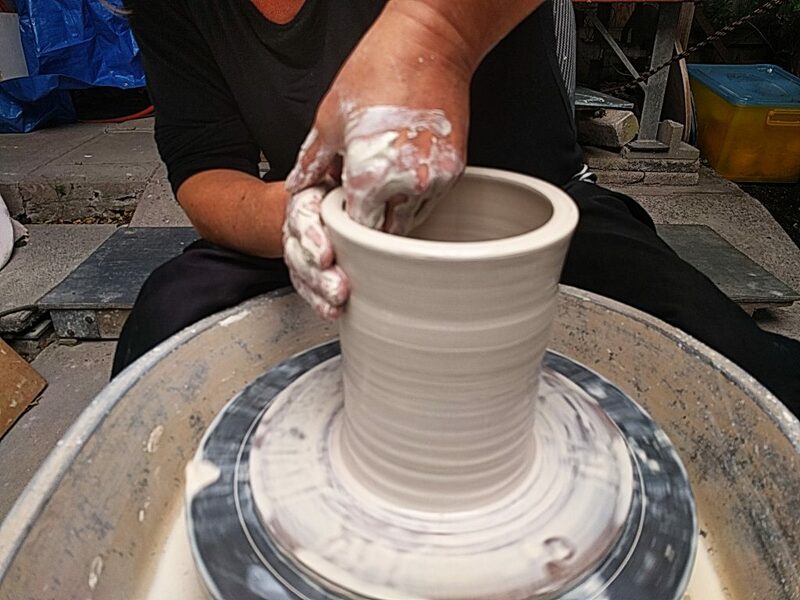 For students who have taken our introductory One Session Wheel Throwing and One Session Wheel Turning courses we are now offering an advanced pottery wheel throwing class which will allow you to throw a large ceramic piece with up to 5 kilos of clay. This class runs over two days which can be booked on consecutive days or with the second class being booked any time within two weeks of taking the first class. On the first day you will prepare the clay and throw a piece of your choice. 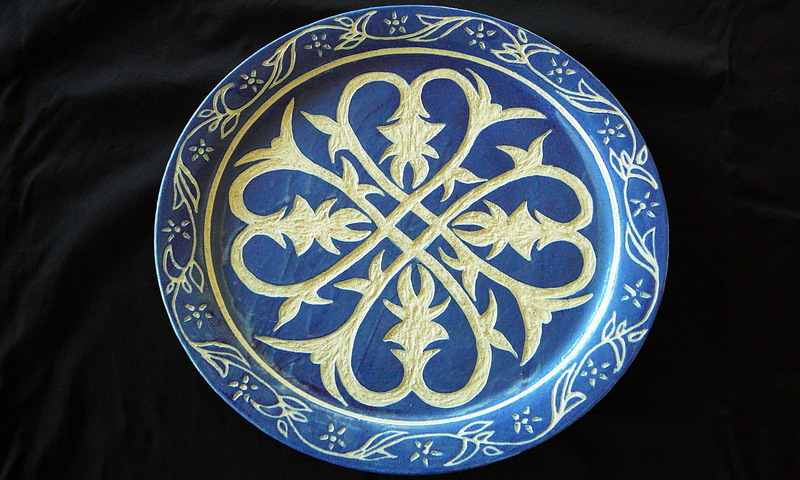 The piece could be a large vase, bowl or platter. As you haven’t thrown pieces this large before it will take several attempts. Rest assured we will train you up to be comfortable throwing such a large amount of clay. 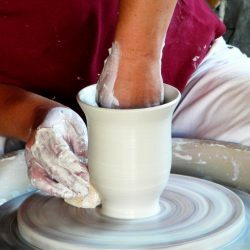 On the second day you will turn the piece you made on the potters wheel to smooth out and rough edges and remove any excess clay. This will make the piece aesthetically pleasing and give it a very polished look! 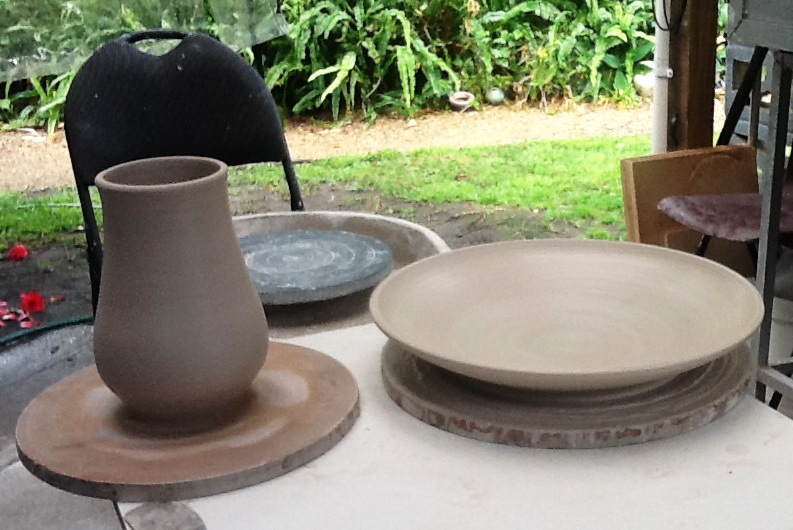 You also get a choice of glaze for your piece and then we will arrange to have it both bisqued and high fired for you. The first day of the class runs daily at 1:00pm and the second day runs daily at 3:30pm. To book this course please visit our Booking page. Also see our advanced class Throw your own Teapot. 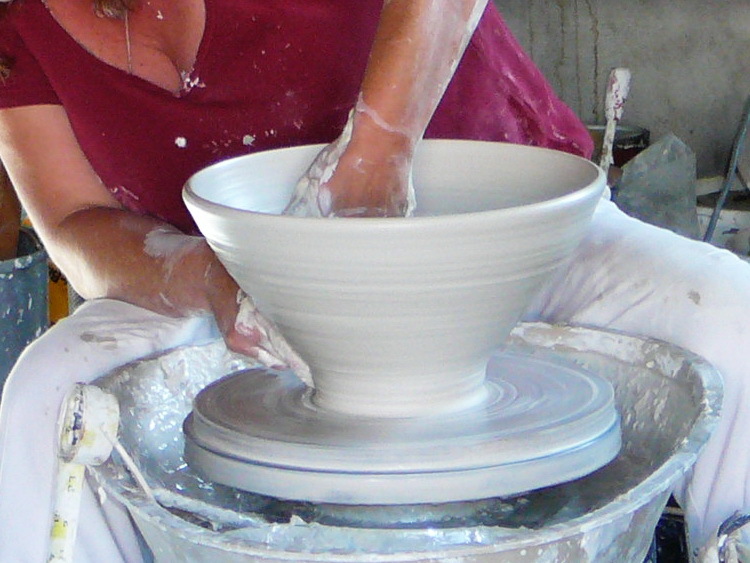 For a complete list of our course offerings visit our Pottery Classes page.